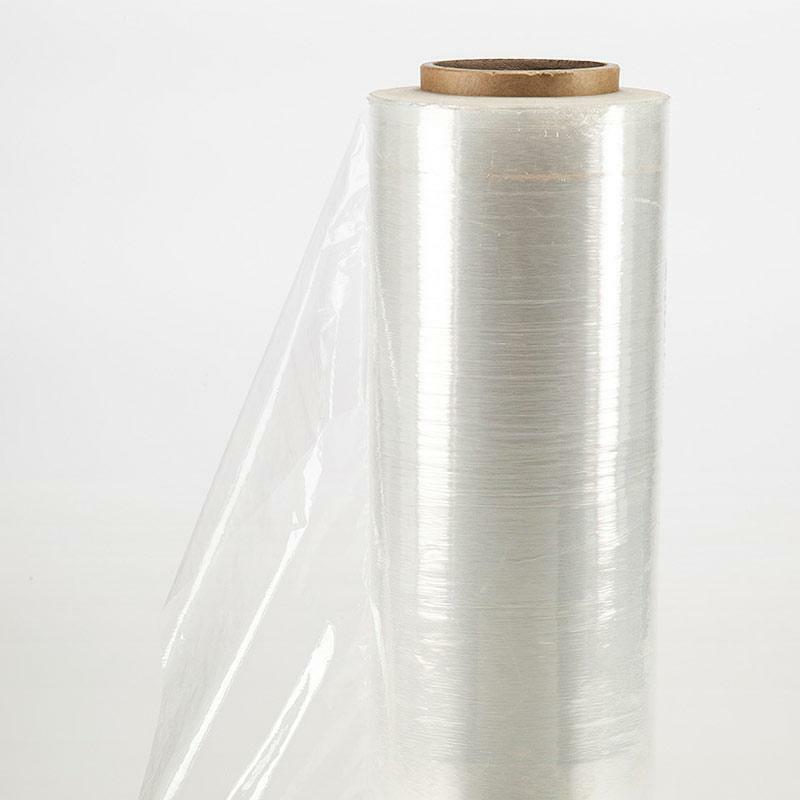 A 400-meter roll of high-quality clear pallet wrap. With Ecobox, you can order clear pallet wrap online, at the same time as ordering packing boxes and any other packing materials you’re likely to need for a move. Pallet wrap is highly stretchable plastic film that’s ideal for wrapping and securing palletised, boxed or grouped items. It clings to loads, making it unnecessary to use tape or other adhesives, and stabilises them so they can be transported without shifting, tipping or knocking together. Pallet wrap is also ideal for wrapping large appliances and furniture, to protect them from scratches, chips and dents. Our pallet wrap is slightly thicker than the standard, at 11 microns. This makes it more durable and resistant to punctures. We also offer black pallet wrap. Clear pallet wrap has the advantage that it won’t hide labels or directions on wrapped boxes or pallets – these can still be read and scanned. Make your move easier by ordering our clear pallet wrap online and we’ll deliver it to your door, along with packing boxes and any other packing materials you need.